2012, a year that will have seen, by its end, thirty presidential elections around the world, provides ample opportunity for sorting out the politicians from the leaders. In my home of the U. S., Election Day, now 41 days away, brings out the best and the worst in candidates. 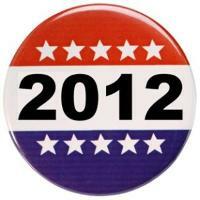 Of course, most candidates are a blend of politician and leader, succumbing partly to the pressures of the next election. How can we choose wisely, discerning the degree to which a candidate exhibits real leadership rather than mere political savvy? As we consider candidates, some guiding questions that go beyond party lines might be: To what extent does this candidate focus on future generations and their needs? To what extent does this candidate focus on the issues rather than personal attacks on his/her opponent? To what extent is this candidate qualified and able to tackle the issues? Furthermore, we get the elected officials we deserve. They mirror us. Robert Kegan, in his book In Over Our Heads: The Mental Demands of Modern Life, noted almost twenty years ago that many of the mental demands of modern life are beyond most people’s level of mental and emotional development. However, the U. S. greatly needs not only mature leaders but also mature citizens, voters who can direct our country’s path toward the best possible future. We might also ask ourselves: To what extent do I focus on future generations and their needs? To what extent do I focus on the issues rather than being swayed by personal attacks? To what extent do I focus on qualifications and abilities? Furthermore, as a collective group of engaged citizens, we might ask: How can we mature to take on the challenges before us? How does our culture keep us immature? How can we begin to challenge our culture to change so that it challenges us to grow up? Elections test the mettle not only of candidates, but also of citizens. Will you ask the tough questions to sort out the leaders from the politicians? Will you examine yourself and where you focus your attention? Will you be part of the solution of helping the culture to mature? As for me, I’m pledging right now to do my best to answer these questions in the affirmative throughout the remainder of this election season.